Sift the flours into a large mixing bowl, add all other dry ingredients and mix well. Add the water and mix with a large wooden spoon until you have a thick paste consistency (almost like a dough), until smooth. 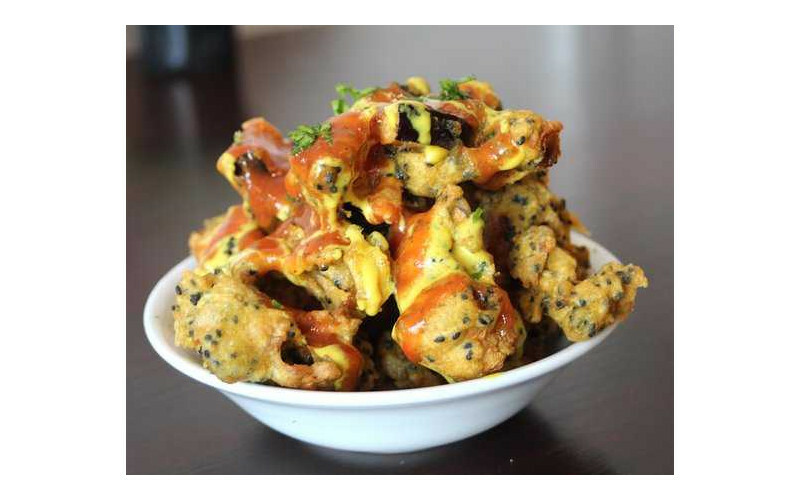 Dip your vegetables of choice into the pakora batter until fully coated. Add the pakora to the hot oil and fry for a couple of minutes until crispy and golden brown.